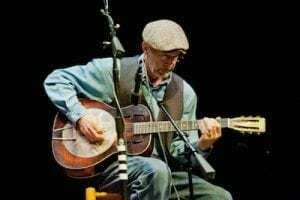 Our annual Thumbpicking Weekend celebrates the life and music of legendary guitarist Merle Travis over two days of workshops and performances featuring Merle’s son Thom Bresh, Pat Kirley, Randy Buckner, Evan Twitty and Danny Dozier. 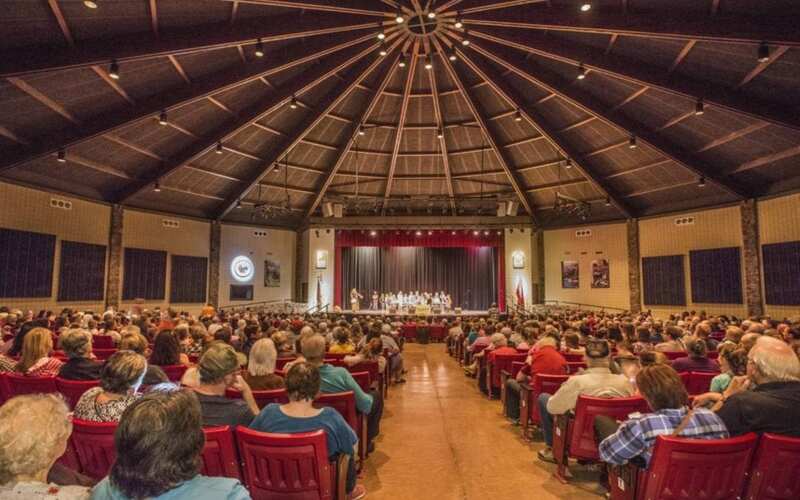 Saturday begins with a panel discussion of the life and times of guitar great Merle Travis at 10:00 a.m. in the White Oak Auditorium and continues with the Arkansas State Championship Thumbpicking Contest starting at 2:30 p.m. in the large Auditorium. Contest is free to watch, entry through the front of the Auditorium. Doors open for the evening concert in the large auditorium at 6 p.m., concert begins at 7 p.m. Regular admission applies and season passes are honored. 2018 Arkansas State Guitar Contest Rules and Registration Form and Complete Master Class Information and Registration Form on OFC web site. Learn to carve translucent carbonate of lime which is softer than marble but finishes with comparable beauty. Complete a hand-size sculpture in this 5 day class. All tools and materials provided for use during class. Registration deadline May 21. Ages 16 and up. Call 870-269-3854 to register. Click on the link for more information. Looking for other Craft, Music and Herb Workshops? Have fun trying your hand at several different crafts. This five day camp for young folks 8 – 12 will feature pottery making, felting, tie dye, music and a whole lot of other great projects. We’ll go swimming every afternoon, Monday-Thursday. One day we’ll swim in the creek during our field trip to the Ozark National Forest. At the end of the week we will have a party with your family and friends. Call 870-269-3851 for more information. The Ozark Folk Center State Park is pleased to announce the dates for our annual Auto Harp Workshop featuring nationally-acclaimed auto harp players Karen Mueller, Charles Whitmer, Les Gustafson-Zook, and John Hollandsworth. Our schedule of events this year includes intensive classroom instruction and performances from our special guests. Students of all playing abilities are welcome to join. 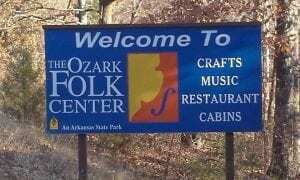 This week, high energy neo-traditional oldtime music phenomenon “The Hogslop String Band” recorded live at the Ozark Folk Center State Park. Also, interviews with this rowdy group of pickers. 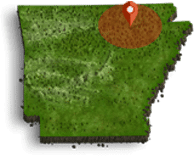 Mark Jones offers an archival recording of a very young Allison Krauss performing the traditional tune “Gardenia Waltz.” Writer, professor, and historian Dr. Brooks Blevins relates the history of black bears in the early Ozark region. 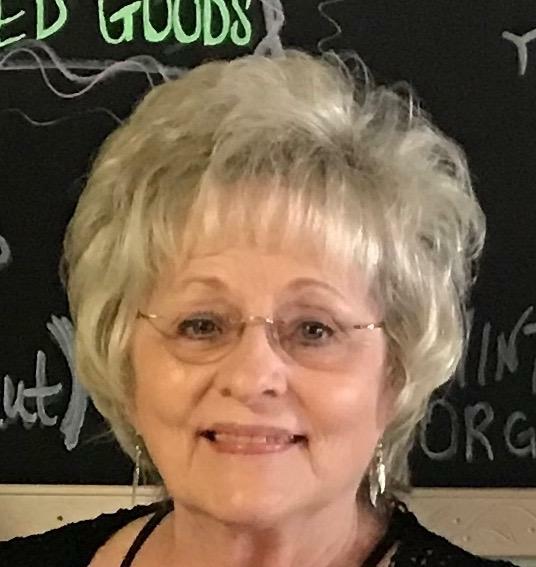 Catch this episode and more on Ozark Highlands Radio.